“One of the really good things-that I hadn’t realised would happen-is how much we enter into people’s lives through training dogs.” Andrew Farley has been training gundogs for over 20 years and is still humbled by both the work and the effects it has on other people. To watch shy, insecure, people grow in confidence as they learn to communicate with their dogs is a magical experience. 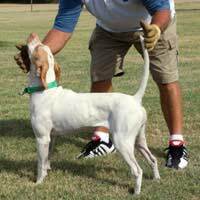 The transformation from unruly pet to working gundog really does change lives. “We start at 6am. Resident dogs are exercised, kennels cleaned and the trailer, or car, is prepared in readiness for going out. Paperwork and phone calls are dealt with by about 9:30. “Today, I have a one-to-one with a Golden Retriever and owner that will take between one and two hours. This first lesson is important foundation work-my students and dogs go away with homework! Handlers must learn to be consistent with commands and their method of communication; that is crucial to successful training. "To start with, we will cover things like sit, stay, heel and I will be assessing them the whole time to help improve the handler’s communication with the dog, so that the dog clearly understands what’s expected of it. Confusing communication is the most common problem.”Dogs must also be comfortable with loud noises if they are to work in the field. This is an important aspect in all work with animals and working with muddy dogs is no exception.Apart from keeping the dogs and training equipment clean, the trainer often needs to change his clothes several times a day-for kennel work, training and field. A smart appearance is part of being a professional and the smell of wet dogs not always one to share! There are always phone calls and stocktaking tasks to carry out, along with the ordering of supplies, sales of dogs and stud bookings. Once the foundations have been correctly established, beginners are encouraged to join group lessons. Further one-to-one sessions also take place. Retrieve is worked on, beginning with short distances and progressing to the long, or ‘blind’ retrieve.Dogs then get used to working over water and obstacles, are taught to stop on the whistle, turn left, turn right and go back-by voice commands. Each dog and handler is taught at a pace that suits them to ensure their work together is consistent and steady. Much of Andrew’s work depends on his ability to read people. An ideal handler is one who has the attitude that ‘You are going to do this!’ That one positive thought is enough for us to build on. Those who take more time are usually people who are very shy or nervous-because the dog will assume leader position with them-so they have to work hard to build trust and confidence.Most behavioural problems stem from the owner’s lack of clarity in communication. Pack position not clearly defined-that sort of thing. Andrew has 3 retired gun dogs at home. It is always very sad when they spend their last day working, but, when they get older it takes them longer to recover from the demanding work of a day in the field. Andrew also finds it difficult to part with dogs that he has spent time training, but, this is a commercial business so it has to be done. Working outside all day, in different places and seasons, meeting people and making new friends and working with wonderful dogs; they are just some of the best bits in the daily life of a gundog trainer.